It so nice place island. We’re thinking of moving to Puerto Rico! Would love your thoughts on best areas to check out! We were in San Juan in April and want to come back in August to check out other areas! 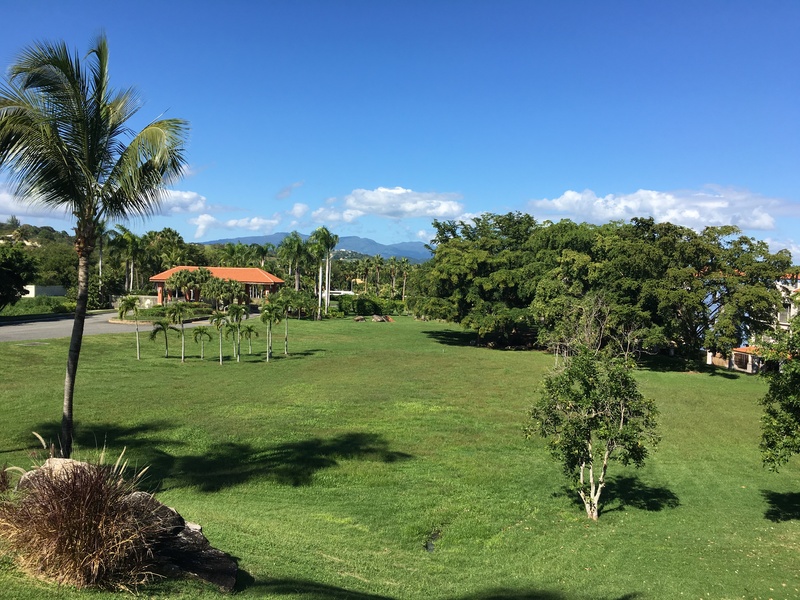 Some other great areas to check out are Luquillo/Fajardo area for laid back beach community, Dorado is another upscale resort community, and there is a large expat community in Rincon. Try to spend a couple nights in various parts of the island, one of the towns will just feel right. Move down to Puerto Rico! Stay in the U.S. and pay 0% capital gains with 80 degree weather… About 3,000 people already here! Great! We’ve been deciding after visiting over the last 2 years, I think our plan to relocate is coming together soon! Lived in Cabo rojo,Puerto Rico for 3 years , 2011-2013, and absolutely loved it !!!! Moved back to Florida and regret ever leaving ! Guess what ?moving back beginning of 2018 ! There is more pros than cons so I’m going back to enjoy my life !!!!! Congrats on moving back here! You need to come back to the beautiful island. How exciting! We are preparing for an extended trip to SE Asia in hopes to stay for at least a year and then next on our list was the Caribbean. Glad I found this post as it’s now reassuring me it’s possible! Safe Travels! I’m a reporter for the Miami Herald, and I’m writing a story about people who are moving, or have moved, to Puerto Rico recently. I was wondering if you were still living there and if you would be willing to talk with me more about why you chose to move and how your experience has been. Please email me if you’d be willing to talk. Thanks! Amazing for you to make the big leap to living in Puerto Rico! Totally agree that the Caribbean would be the perfect place to do it. I’m interested to hear what kind of number crunching as well as other factors in order to make this work. But enjoy it and excited to see all of your adventures there! Moving to Puerto Rico is the easiest “international” move an American can make. I was reading about the tax incentives a while back and it was just about enough to make me consider a move, too. You’re so right that it’s a great home base to explore the rest of the Caribbean. Now I’ll have to catch up on your more recent posts so I can get the scoop on how your adventures are going. I haven’t been to PR yet but it’s definitely somwhere I’d like to check out. I’ve been considering where i’d like to stay on a more long term basis and hadn’t considered PR but maybe I will now. We have lived in PR for almost a year and we still love it! There is so much to see and explore on the island. How HAVE the tax breaks been, though? 4%? As good as everyone advertises? Jim – we have a different experience that Abroad Dreams (I read the site, too), as well as a different business model for our company and employees. We met with lawyers for Tax Act 20/22 over 6 months before moving to the island, to determine if we would be eligible before we made the big move. We are in the process of filing our first tax return as PR residents, so I do not have all of the actual breakdowns. I will share our experience and the tax results in the coming months. Awesome! You will love Puerto Rico. Welcome to the island. I would be packing my bags in an instant as well! As an Aussie it’s not quite so simple though. It’s funny how such a short visit is what eventually lead to the move. That’s amazing! Congrats on your move! I haven’t been to Puerto Rico, but I’ve heard wonderful things about the people!! I’m also a big fan of slow travel. I find that too many busy days just wears me down too much and I can’t enjoy it as much as I would like! I can’t wait to read more of your adventures in the Caribbean! Moving to Puerto Rico sounds like such an adventure! And living on the beach too…what a dream come true. Are you enjoying living there? I love Puerto Rico! I am really enjoying the island life! Best of luck in Puerto Rico! I visited the island for the first time this past May and was completely taken with it, too. What area did you move to? I also love the concept of slow travel. There’s nothing like spending enough time in one place to really get to know its customs and people. Cheers to your new adventure! Thanks! We live in Palmas del Mar in Humacao on the East side of the island. Awesome! The farthest we got was Fajardo – I’ll have to venture farther south next time! 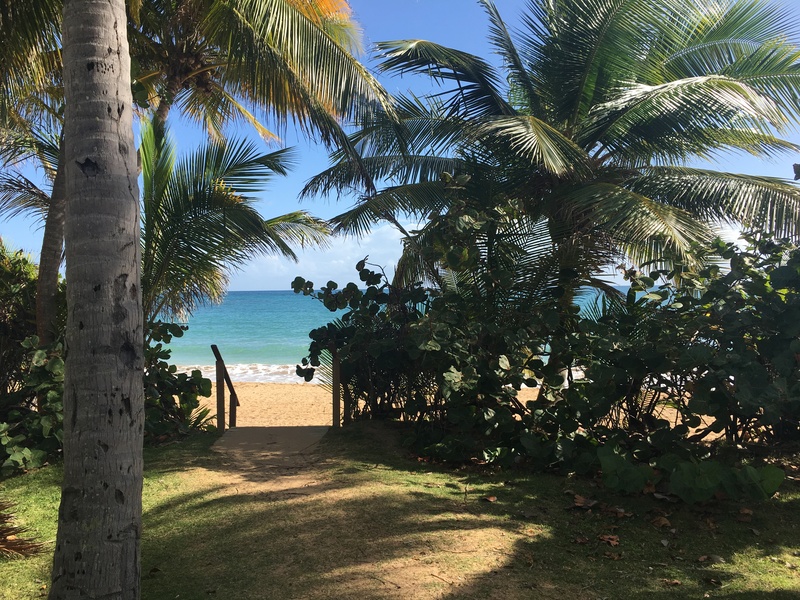 Lucky you you can just pick up and go to Puerto Rico without any hassling with papers and visas! I haven’t been to Puerto Rico but I’ve seen plenty of pictures and I know it’s a place I would enjoy. No visa was a huge bonus for the move! I love that PR seems affordable! San Juan has always been a dream of mine because of all of the colors 🙂 Can’t wait to hear more about your adventures! LOVE IT!! My boyfriend and I did the same thing except we ended up on St Croix, if you ever find yourself here I’ll buy you a drink!! Cheers my fellow Caribbean living sister! Ditto for a drink if you end up in Puerto Rico! The Caribbean is a small place and I am looking forward to bumping into you! Good for you! Not many people take the final step to leave their home and their comfort to try something scary and new! Puerto Rico sounds like a sweet place to call home;) if you’d ever be up to contributing to my blog as a PR local, shoot me an email! I’m always looking for local advice to add to the site! I would love to contribute! Be on the look out for an email from me! I don’t blame you for moving here! I LOVE island life and the idea of living on an island is even better. We wish you the best of luck, everything we have heard and read about Puerto Rico has been great! It’s nice that you had such a wonderful impression on your cruise beforehand too! It’s going to be amazing! I know from the Moms in Palmas del Mar that the Palmas Academy is highly rated. They teach in English for most/many courses. We do not have children, and I do not know any parents/children in school in Guaynabo. Best wishes for your possible relocation to the island. Wow! I’m so jealous! 🙂 But good job! Remember that we will only regret the things that we didn’t do! Very nice to see this and will be following your adventures! We went to PR a few years ago and really enjoyed it. In the back of my mind I see us spending a while there in the future. We are digital nomads and can pretty much work/live anywhere. We are currently house sitting on Isla Mujeres (off the coast of Cancun) during the summer and are considering other locations for next year. I’ve seen some sits there and also some reasonably priced rentals. Caleb, that is awesome!! So excited for you. We are going to Aguadilla this weekend, and I will write about our adventures! I received quotes from several moving companies, and we decided it was easier/cheaper to buy new. We are in a partially furnished rental, and we bought a new couch, bed, some shelves, tv, and a patio set. We still spent less money buying new stuff than shipping would cost. We sold both of our cars on the mainland, and bought a used car here in Puerto Rico – again, much cheaper and less hassle to buy a car here than to ship one and pay all of the taxes and fees. We paid for First Class airfare and brought the maximum bags allowed per person (airfare was cheaper than shipping). The only thing I would do differently is to bring LESS stuff. I thought I was really packing light, but I have tons of stuff here that I do not need or use. I plan to donate all of our extra stuff to the local church. Life is simple here, and we love it!! Well that looks like a dreamy place to live. I love your pictures, so amazing! I am looking forward to learn more about your living there! Just did a Google search for “moving to Puerto Rico” and found your piece. Have you made the move? We are moving to the Condado area this summer. We bought a house two weeks ago and my daughter has been accepted to one of the schools in the area. We are so excited. Best of luck to you! Thanks! So excited for you, too! Yes, we relocated in January 2016 (so three months now), and we LOVE it! Stay tuned for more updates on living in Puerto Rico, already published how to get a Driver’s License in PR, and more helpful tips for you. Good for you and your husband! I’m so glad you took the move to Puerto Rico! That’s one place I’d really love to visit, so I look forward to reading your updates on what it’s like carving out a new life there! Suerte! ¡Bienvenidos a Puerto Rico! We chose Puerto Rico also after a 2 week honeymoon here in 2005. We traveled the whole main island and also Vieques. We felt pulled toward the west coast more than any other area. It then took us another 6 years to finally buy a place and then another 2 to move here for good. But now that we are here I can’t believe we waited so long. I suppose good things take time…and Puerto Rico is probably one of the best decisions we’ve ever made in our whole lives. It fits us so perfectly. Daily when I awake to perfect temperatures or look out at the ocean and the chickens and exotic fruit trees and do things I never did back in Colorado like catching iguanas, singing in a band at fancy mansions by the sea, eating mofongo, chatting non-rushed (it’s island time!) with neighbors in Spanish or even squashing humongous cockroaches, I feel I am writing my own amazing bio-flick. So glad you are enjoying Puerto Rico as well. You never know maybe we’ll run into each other on this Isle of Enchantment. It truly feels like anything is possible here. Nos vemos. I looked at some of the photos from your farm, very impressive! Yes, I hope to run into you on the island sometime. My wife and I just came back from our 3rd trip in Puerto Rico. This last trip was a slow trip and we skipped as many highways as we could and chose local beaches over resort beaches. This last trip was by far the best. We are going back in August to look at properties! Hopefully, we will be making a permanent stop sometime soon! I randomly came across your blog and just wanted to ask you some questions! I just booked a trip with my girlfriend to PR in May and we are both super excited. I’ve done a lot of research but wanted to get insight from someone who lives there. Where are some good places to check out while there? We are staying in old San Juan and will be renting a car so we are mobile. I’d love to get some ideas from someone who knows good spots! Also, how worried are you in regards to Zika? Is the mosquito problem that serous?? Breyden – YAY! Puerto Rico is amazing! Check out my posts on Fajardo, Isla Verde, as well as the El Yunque rain forest (easily accessed from Fajardo). I am still new to the island and explore something new everyday, so check back for new posts. I wear lots of bug spray (high concentration of DEET) but I still get bit. I am not currently, nor am I trying to get pregnant, so Zika is not really a concern. Cool! I’ve always wanted to go to Puerto Rico! What a fun place to move to! Wow the water is SUPER blue! I want to go there soooo bad! Wow! Congrats on the move! I’ve never been to Puerto Rico but its on my list. Good luck with the move, hope you guys love it! tax incentives, helping the local economy this is great! im sure the locals love having you and your family as an addition. Congrats on the big move! What an amazing place to call home. Hoping someday I can move my family here as well. How would you say the education is for children? And what about healthcare? Thanks! Thanks Jenna! We are so excited. We do not have children, but many people talk about how good the schools are. Just like in the mainland, parents need to research the school district and school before any big move. PR is part of the US, so it is the same (overall) healthcare system. My current healthcare plan covers us (just like visiting another state), but I will need to change my plan soon (just like moving to a different state). We are moving to a little beach town, so I may need to drive into a larger city for doctor visits. I’m so happy to see your enthusiasm about PR. My husband, myself, our 3 children ages (13, 6, 3) along with our Great Dane and mini pig (about 50 lbs) will be renting our home in CA for an extended stay in PR. Main goals are to learn Spanish with my kids an strip them of the cali entitlement bringing them back to realize that life is so much better than this. If you have recommendations of anywhere we can do a 8 month to 1 yr rental I would be so appreciative. Looking for a more beach local vibe than touristy. Reading your post just inspired me even more. Thank you!!! That is wonderful. I highly recommend looking at rentals in Palmas del Mar community of Humacao. There are several reputable realtors located in Palmonova Plaza. I can’t wait to see and hear about all your new adventures! Congratulations on the big move!! I’m so happy for you. I hope to one day move, at least states. My boyfriend isn’t too excited about the idea, but maybe one day. 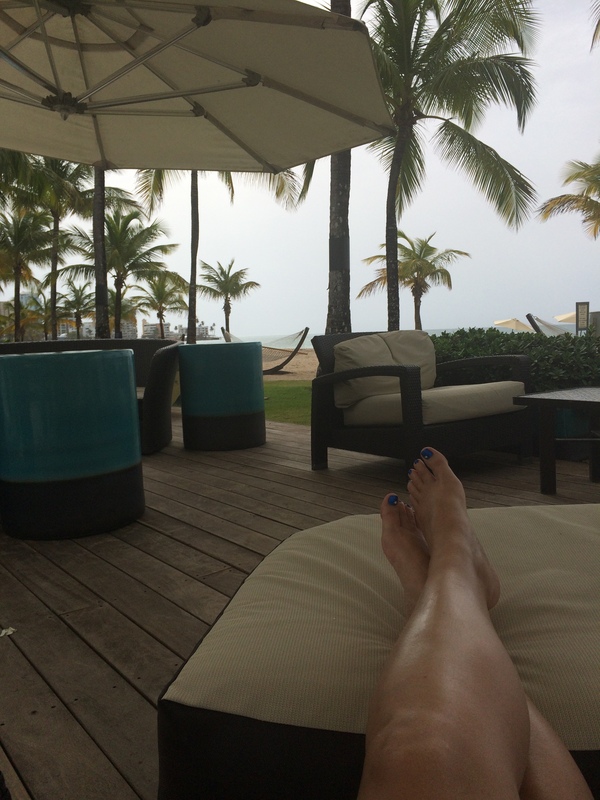 I actually left Puerto Rico almost 25 years ago for the same reasons… I guess the world is our oyster. Congrats on taking the big leap! Puerto Rico would be a great choice for those wanting something not too different from the U.S! I’m hoping to buy some property in Europe over the next couple of years! Congratulations on taking the leap! The no quarantine for the dog makes it a really tempting option… I’m in New Zealand missing mine right now!! Oh wow, great post. I have been going on about moving to the Caribbean for ages and my boyfriend thinks I’m dreaming. I will show him this later!